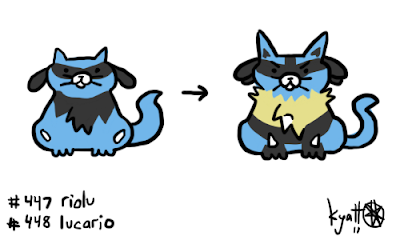 Today's entry includes Lucario, the usurping jerk who stole Mewtwo's spot in Brawl. Yes, Mewtwo's controls in Melee were more slippery than Luigi on ice, and it was about as useful as that card of it in the Pokémon TCG base set, but I'm still a bit upset about whole thing. Mewtwo was my main in Melee and I was ACTUALLY GOOD with him... against my friends who were terrible, BUT STILL.